Is KCR wrong on selection of candidates? Is KCR wrong on selection of candidates? Is KCR wrong on selection of candidates? 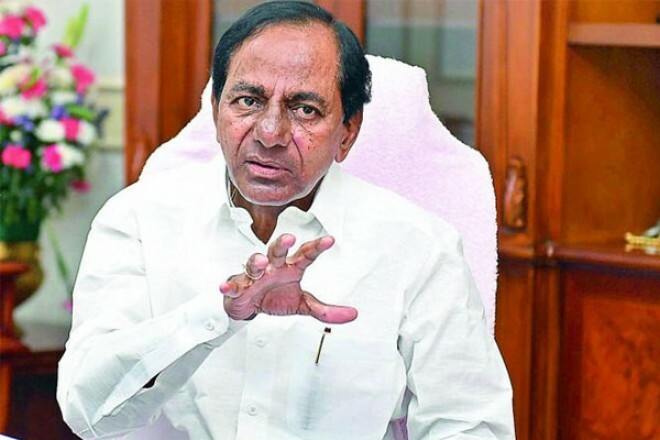 Hyderabad, Mar 29: Telangana Chief Minister KCR's overconfidence has turned the upcoming Lok Sabha elections in Telangana as a tough battle between TRS and Congress in few seats and TRS and BJP in few other seats. After a resounding victory in Assembly polls in December last, KCR has turned over-confident and arrogant. This was reflected in his 'wrong selection' of candidates for 10 Lok Sabha seats. KCR fielded only seven sitting MPs. In the remaining 10 seats, he made 'experiments', which may prove costly for TRS. KCR fielded new faces for five seats, who are contesting elections for the first time. They include G Ranjith Reddy (Chevella), Marri Rajasekhar Reddy (Malkajgiri), Manne Srinivas Reddy (Mahabubnagar), Vemireddy Narasimha Reddy (Nalgonda) and Talasani Saikiran Yadav (Secunderabad). In other five seats, KCR has fielded 'old faces' but they are contesting elections from TRS for the first time. They are Nama Nageshwar Rao (Khammam), P Ramulu (Nagarkurnool), B Venkatesh Nethani (Peddapalli), Maloth Kavitha (Mahabubabad) and Puste Srikanth (Hyderabad). Of this, Hyderabad seat is a 'namesake contest' to help MIM win. Worse still is Nama Nageshwar Rao and Venkatesh Nethani were given tickets on the same day when they joined TRS. With this both these candidates are still seeking votes for cycle and hand symbols respectively out of confusion. All these 10 candidates are yet to connect with people or TRS cadre, while the polling is just two weeks away. KCR has fielded only seven sitting MPs, who include his daughter K Kavitha (Nizamabad), B Vinod Kumar (Karimnagar), Boora Narsaiah Goud (Bhongir), Pasunuri Dayakar (Warangal), BB Patil (Zahirabad), Kotha Prabhakar Reddy (Medak) and Gadam Nagesh (Adilabad). Even in these seven sitting seats, TRS is facing tough fight from Congress and BJP in Nizamabad, Karimnagar and Bhongir. KCR's over-confidence is giving jitters to party leaders and cadre. If results come otherwise, KCR may have to face the consequences for future developments in the party.